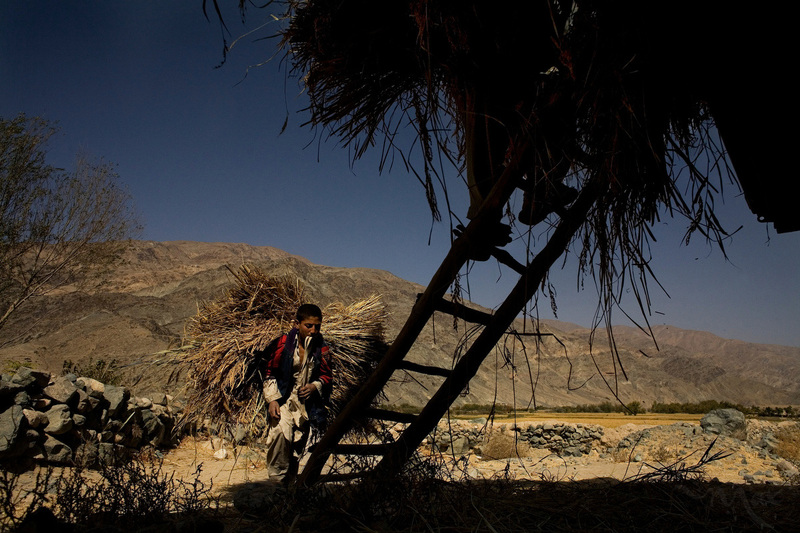 Young boys carry loads of rice shoots on their back as they collect a harvest with their family in the district of Khanjan in Baglan province, Afghanistan on Thursday October 11, 2007. Farmers in Afghanistan mostly sell their goods to the local markets. Rice is a staple food in Afghan life and a safe crop for farmers who are under pressure not to grow the more profitable crops of poppy or Cannabis.